Our suggestion: let the news speak for itself. Our media “experts” should stick to reporting the facts. That is the professional, the democratic and the lawful way for them to do their job. On Tuesday, during an interview by a sports reporter a politician commented that: “political reporters are a lot like sports reporters. They’ve all got opinions, even if they never played.” That politician was US President Barack Obama, and the interview was broadcast over the Des Moines, Iowa, KXNO sports radio. In Israel, the term we would use would surely be “kibitzing.” But there’s a multi-pronged barb in Obama’s words, which are applicable to our local media and those who run it. As we understand it, this political contender for office knows well that reporters are not objective. It is only a matter of the degree to which they insert not only wrong information, through sloppy work or otherwise, but a bit of bias, whether through omission or commission. In addition to opinions that sometimes insert themselves into the reporting of news, there is also the lingering concern as to whether reporters are truly knowledgeable about their beats. Are they sufficiently experienced “players” who can take to the field to compete not only with rival journalists but also with the people and events they cover? This last point is especially relevant to the tom-tom beating that has been going on, at ever-increasing volume, in certain media quarters covering the possibility that Israel’s government may be forced by circumstances to employ military alternatives to curb the nuclear weapons program of Iran. Iran is the country whose supreme leader, Ali Khamenei, recently announced that Israel will disappear from the “landscape of geography” and that its land will be returned to the Palestinians. "Stab in the Heart" warned of the risks of Israel's sacrificing Gaza's Jewish communities as an step towards peace with Palestinian Arabs around Israeli borders. DemoCast discusses the lessons learned from Gaza about the nature of the Islamist crusade and strategies for the West towards appeasement as a strategy to thwart Islamist imperialism. 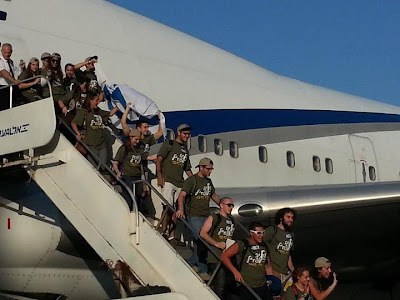 350 N. American immigrants arrive in Israel, greeted by PM Netanyahu; 127 come to enlist in I.D.F. BEN-GURION AIRPORT, Israel (AP) — Despite regional tensions, about 350 Jews from North America landed in Israel on Tuesday, planning to make the Jewish state their new home. Their arrival coincides with an escalating internal debate over whether Israel should attack Iran's nuclear facilities. Israel and the West believe Iran may be aiming to produce nuclear weapons. Either and Israeli attack that could set off a regional conflagration, or an Iran with a nuclear bomb to back up its frequent calls for the destruction of Israel, would seem to be good enough reason to postpone moving to the Jewish state — but the newcomers dismissed that. N. American immigrants disembark in Israel to serve in I.D.F. "I'm not nervous about Iran," said 18-year-old Becca Richman, who left her family in Philadelphia to serve in the Israeli military. "Honestly I'm more nervous about fitting into Israeli society than I am being in the army. This is my dream. This is what I came to do." Nearly 130 other army recruits were on Tuesday's chartered flight. The immigrants were met by throngs of family members, flags, banners, a stage and live music. Among the dignitaries greeting them was Israeli Prime Minister Benjamin Netanyahu. He commended them for deciding to "link their personal future with the future of the Jewish state and the Jewish people." Netanyahu singled out the prospective soldiers. "As the Jewish state progresses and rises, so does anti-Semitism," Netanyahu warned, adding "we need to defend ourselves against that and those who give it intellectual support." Recently, Lucas Siminofsky of New York City, returned from 18-months of lone-soldier, I.D.F. service. While he was away, his father Paul Siminofsky, spoke with JooTube about his perspectives and how it has influenced his views on the defense of Israel and America. Regarding his experience observing Lucas and his fellow lone-soldiers in Israel, "I'm very proud of all of them," says Paul. More than 4,000 immigrants have arrived in Israel from the U.S., Canada and United Kingdom this year. Most North American Jewish immigrants give up their jobs back home when they move, according to Nefesh B'Nefesh, a group that helps potential immigrants make the move and sponsored the flights that arrived Tuesday. "We wanted to move, and nothing can change our minds," said 33-year-old Shalom Schwartz, a lawyer from New York who plans to continue his practice remotely from his new home outside Jerusalem. The tickets that these passengers are currently holding are for travel via a stopover in Europe in both directions. However, to better accommodate these passengers, EL AL is offering a choice to travel nonstop roundtrip to Israel from New York (JFK or Newark) for an additional cost of $75 each way. Yet another choice is that EL AL is offering a full refund without penalty to anyone wishing to cancel their tickets. To take advantage of the nonstop flights or to cancel, passengers holding these tickets should email EL AL between August 14 and 31, 2012 via email to flydirect@elalusa.com and an EL AL representative will respond to the request. For two hours on August 6th, incorrect fares to Israel were published on a variety of travel internet sites. EL AL continues to offer nonstop flights to Israel as well as via Europe at attractive fares, year round. In this exclusive JooTube interview from 2008, El Al Airlines' Chairman Izzy Borovich and previous Americas' Chief, Offer Gat, reveal what makes El Al Airlines unique - and how those characteristics provide passengers a unique cultural and superior travel experience to and through Israel. 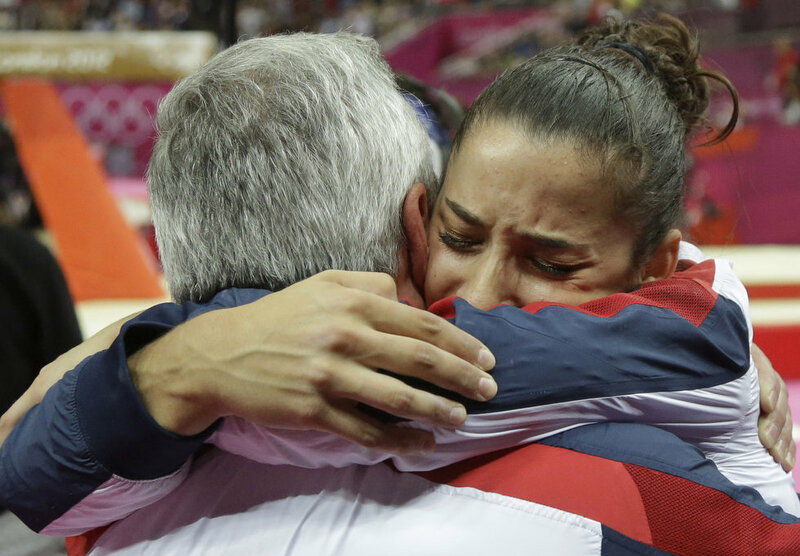 American gymnast, Aly Raisman, has revealed the music for her gold medal-winning floor routine at the London Olympics was a tribute to the victims of the 1972 Munich Games terror attack. 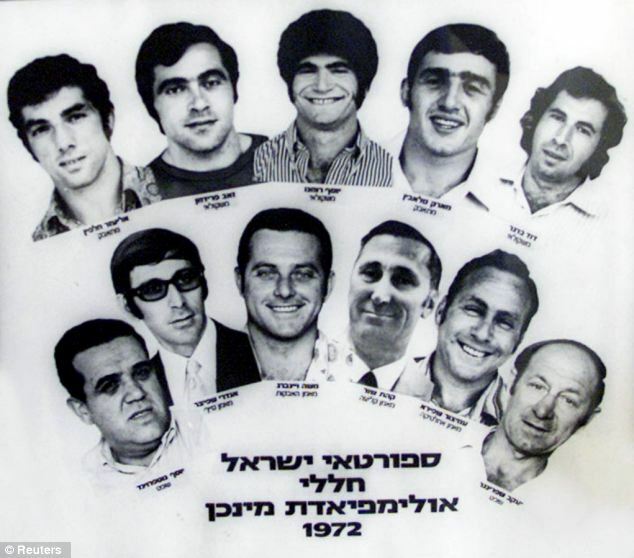 The 18-year-old said choosing "Hava Nagila" (Hebrew for "Let's Rejoice") - was a response to the International Olympic Committee's failure to mark the 40th anniversary of the tragedy. 'I can only imagine how painful it must be for the families and close personal friends of the victims,' she said. It began on the morning of September 5, 1972, with six days left in the Games, when eight terrorists stormed the Olympic village and raided the Israeli contingent’s apartment. Two Israeli athletes were killed and nine more were seized as hostages. They demanded the release of over 200 Palestinians serving time in Israeli jails, along with two renowned German terrorists. After a day of unsuccessful negotiations, the terrorists collected the hostages and headed for the military airport in Munich for a flight back to the Middle East. At the airport, German sharpshooters opened fire, killing three of the Palestinians. A horrifying gun battle ensued, claiming the lives of all nine of the hostages and two terrorists on board a helicopter. The three surviving assassins were captured, but later released by West Germany following the hijacking a Lufthansa airliner by the Black September group. The Torah says "and He will love you" (v'ahavcha) (Devarim/ Deut. 7:13). The 15th day of Av (Tu b' Av in the Hebrew calendar - this year on August 2nd) has become a Jewish Valentine's Day and a popular day for weddings, proposals and romantic dates.